If you are new to Internet banking then adding new beneficiary to your account and doing the fund transfer first time is little tough for you. If you are wondering how to add beneficiary in HDFC through internet banking account then this article is for you. Here we are going to tell you the required steps to add a new beneficiary to your HDFC internet banking account. 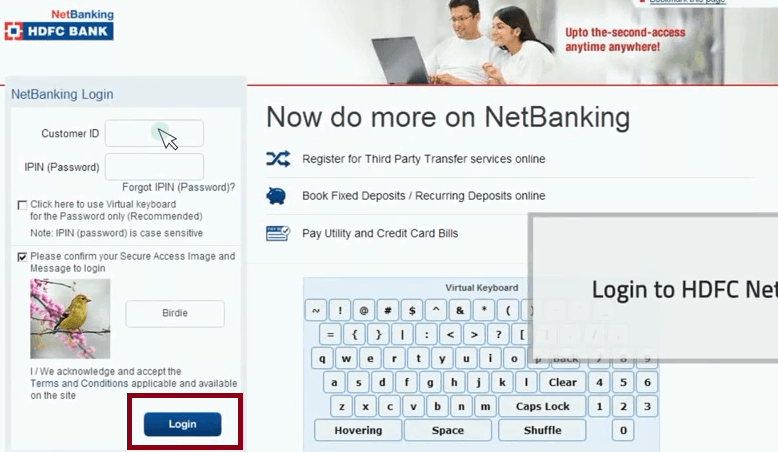 Step 1: Go to HDFC Internet banking by visiting this link - https://netbanking.hdfcbank.com/netbanking/ and in the "User ID / Customer ID" section, input your customer ID and press 'continue'. Step 2: A new page will open up. Input your login password at "IPIN (Password)" section. Check the box to confirm Secure Access Image and Message and click on 'Login'. Step 4: Go to 'Funds Transfer' tab, second at the top header menu. Step 5: Under 'Fund Transfer' go to the third option 'Request' and click on it. A drop down menu will open up. Go to 'Add a Beneficiary' and click on it. 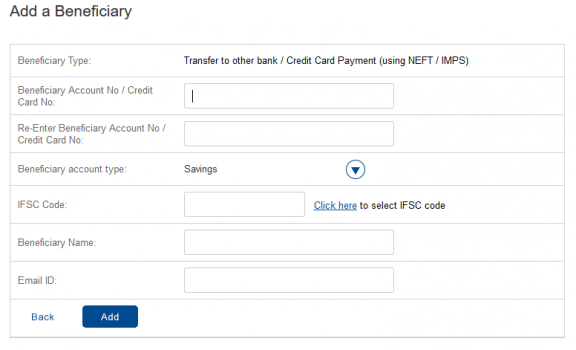 Step 6: If you want to add a new beneficiary account of HDFC bank then go to the first option 'Transfer within the Bank' or if you want to add other than HDFC bank account then go to the second option 'Transfer to other Bank'. Adding a new beneficiary method is almost same in both the cases however, in the first case you don't need to provide IFSC as you make transfer within the bank so only account number is required to add a new beneficiary. Here we are going to tell to how to add a new beneficiary of other bank account. 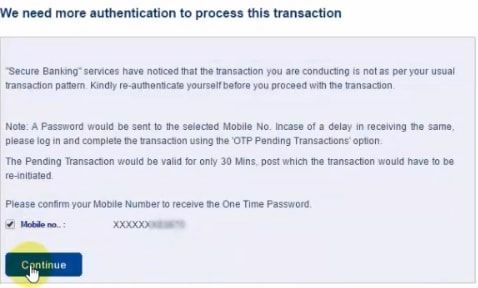 So, go to the second option 'Transfer to other bank'. Bank, branch and address details will come up at the bottom of the pop up window. Go to the last column and select the hyperlinked text 'Select' to continue. Now the IFSC Code is entered in the field automatically. Write beneficiary name and beneficiary email id in the next two empty boxes respectively. Now, click on 'Add' tab to continue. Step 8: A new pop-up window will open up with a message that the beneficiary will be added in the next 30 minutes. Press 'ok' to continue. Now check the beneficiary details and press on 'Confirm' to proceed next. Step 9: In the next page, check on mobile number to get one time password to your registered mobile number to complete the process. Now click on 'Continue' to proceed. Step 10: Enter the OTP in the next page and click on 'Continue'. Now you will get a message in the next page stating 'Add a beneficiary complete'. We hope that after reading this article it becomes easy for you to understand process of adding beneficiary to HDFC bank. 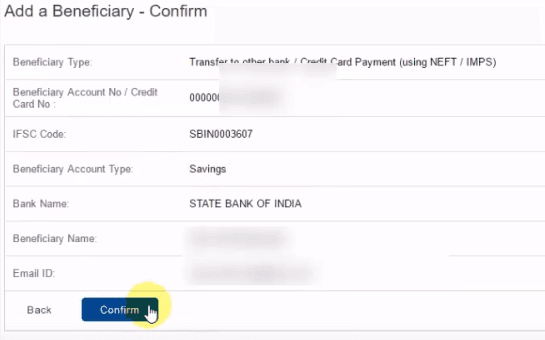 Now you can transfer money from hdfc to that added beneficiary. I have an account in your bank. I want to add a beneficiary. I am already registered with TPT. I want to transfer some funds to the USA. Bank asks for IFSC code. For USA banks there is no IFSC code. They have a Routing number. Can I enter routing number instead of IFSC code? Very systematically explained. One can easily reach to the requirements as well save time..Thanks!